boxes over the plants have beautiful information posters. were created two of Betsy's friends. 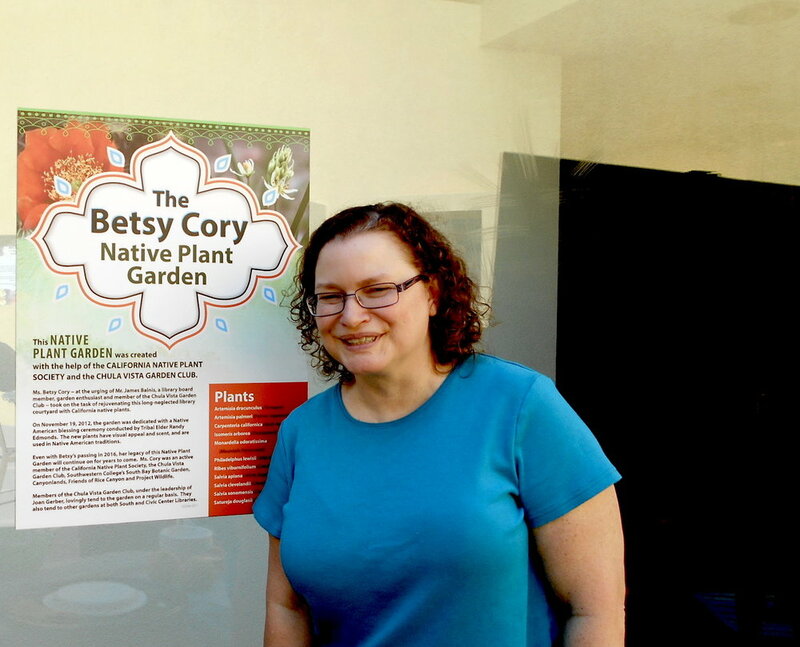 Robin, one of Betsy Cory's daughters, next to the Garden's sign. large blue pots with plants. to the garden so teachers can use it as part of their classroom curriculum. members) and Kay (CNPS) after planting. The landscape that welcome visitors to Cabrillo National Monument Visitor Center has a beautiful new look. A great team has implemented a landscape plan developed as a collaborative effort to renovate the site. Together, they removed thirty years of non-native and weedy shrubs, and replanted plant species native to Point Loma.